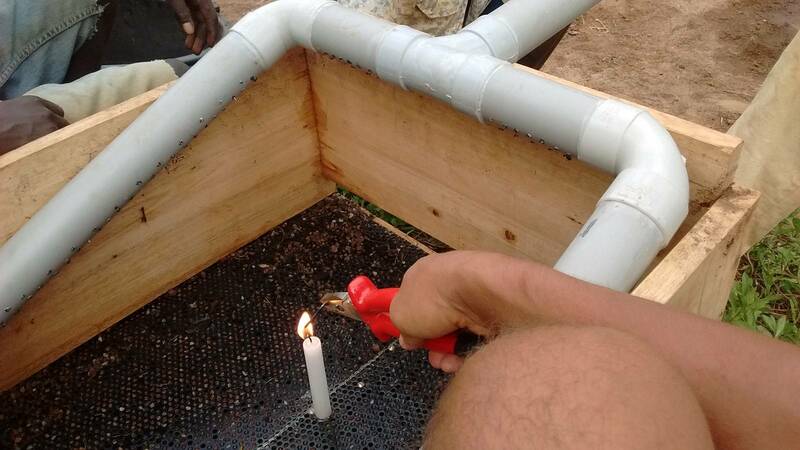 Simplest spray bars are easily constructed on the spot by using the candle, matchboxes, pliers and the nail. Nail is heated and used to pierce the plastic pipes. We are using enough holes for about 60% of the water to come out, which makes nice shower. I guess we shall put few more holes for some 70% - 75% of the water supply.